"I'm not a bath man myself. More of a cologne man." - Homer. "If I splurge on anything, it's cologne. I love smelling good." - Zac Efron. EAU DE COLOGNE (German: Kölnisch Wasser; meaning “Cologne Water”), or simply cologne, is a perfume originating from Cologne, Germany. Originally mixed by Italian-born Johann Maria Farina in 1709, it has since come to be a generic term for scented formulations in typical concentration of 2%–5% and also more depending upon its type essential oils or a blend of extracts, alcohol, and water. In a base of dilute ethanol (70%–90%), eau de cologne contains a mixture of citrus oils including oils of lemon, orange, tangerine, clementine, bergamot, lime, grapefruit, blood orange, and bitter orange. It can also contain oils of neroli, lavender, rosemary, thyme, oregano, petitgrain (orange leaf), jasmine, olive, oleaster, and tobacco. Johann Maria Farina - (1685-1766). Italian-born perfumier from Germany who created the first Eau de Cologne. 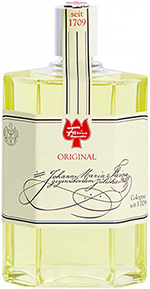 Farina settled in Cologne, Germany in the year 1709 where he founded Farina gegenüber, the world’s oldest perfume factory still in existence. His subtle fragrance Eau de Cologne became rapidly famous worldwide and in the 18th century was an indispensable accessory at all royal courts. Today the 8th generation of the Farina family still produces the original Eau de Cologne. 4711 House of Fragrances - since 1792. "The World of Fragrances." 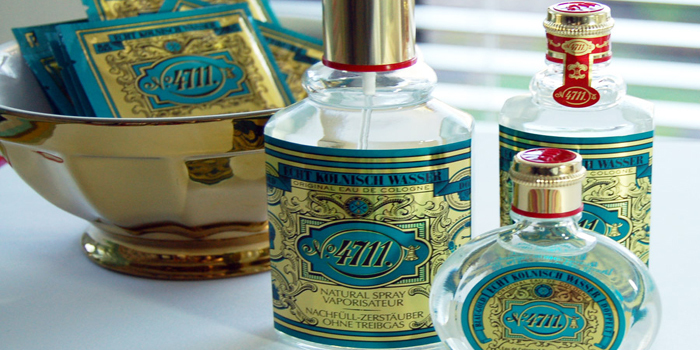 4711 Original Eau de Cologne - "I am Original. Are You?" The conscious emphasising of the light and vitalising top note of 4711 Original Eau de Cologne gives it its characteristic and pleasant fragrance. Acqua Colonia - "Inspired by Nature" The sweet and sour aroma of lime has a stimulating effect and gives this fragrance a refreshing, vibrant tanginess. This is contrasted with the spicy-warm, alluring aroma of nutmeg. Nouveau Cologne - "Immerse yourself in the World of NOUVEAU COLOGNE." The new fragrance that revitalises and inspires the senses: an unusual fruity and tangy fragrance composition. Wunderwasser - "Innovative. Unexpected. Wonderful." Two fascinating fragrances, for women and men. AGRARIA - since 1970. "Refresh any environment." Bitter Orange, Lemon Verbena and Balsam are still popular as classic personal colognes that many fans also use as a room spray. Arlington Cologne - by D.R. Harris. Established 1790 in 29 St. James's Street, London, U.K.
ASPREY Purple water - "British Luxury Goods Since 1781." With notes of orange flowers, mandarin, jacaranda, ginger, vetiver root and lemon, it is an utterly attractive, complex unisex scent. Slightly spicy and earthy with zesty notes of citrus. Bien-Être l'original Naturelle - "The waters of Cologne "bien-être" offer you an irresistible freshness and a rich exceptional natural Essence. This cologne is Fresh and tingly with a fruity." Caswell-Massey - since 1752. "America's Original Apothecary." Cologne sprays. Chanel - "An incomparable Eau de Cologne." The zesty freshness of Mandarin and Bergamot is united with the airy notes of Neroli. Dior Homme Cologne - "Pure and radical, the Cologne freshness is recreated with a Grapefruit Blossom base." Eau de Gentiane Blanche HermÈs - "A fragrance for men & women." 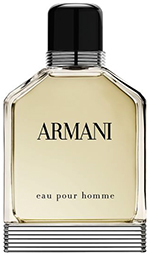 Eau Pour Homme - by Giorgio Armani. "First, fresh citrus fragrance of bitter orange and tangerine open like a first sun - drenched wave, enlivened by peppery coriander notes. Then come spices - nutmeg and cumin – subtly enveloped by neroli. The freshness becomes richer and denser, before finally being warmed by the woody aroma of cedar and patchouli, a wild spirited accord, persistent yet perfectly tamed. Skillfully blending light and shade, the brightness of the sun and the mystery of the undergrowth." Eau Sauvage - by Christian Dior. "A revolution in 1966, Eau Sauvage has become one of the great classics in Men's Fragrance." 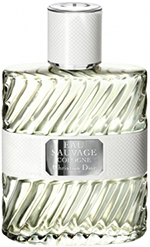 Woody, fresh and spicy, Eau Sauvage Cologne is the very essence of charm. A composition that immediately bursts with a spontaneous vibrancy, a treasure trove of multi-faceted nuances. Farina 1709 - "I have discovered a scent that reminds me of a spring morning in Italy, of mountain narcissus, orange blossom just after the rain. It gives me great refreshment, strengthens my senses and imagination," wrote Giovanni Maria Farina in 1708 in a letter to his brother. Geo. F. Trumper - The Mayfair Shop, 9 Curzon Street, London W1J 5HQ, U.K. "London's Favourite barber, hairdresser and perfumer since 1875. Geo. F. Trumper is recognised as the finest traditional gentlemen's barber in London and is known throughout the world for its matchless range of gentlemen's fragrances and grooming products." All models. Giorgio Armani ACQUA DI GIO - "A Sensual Men's Fragrance Collection With Citrus Notes." Guerlain EAU DE COLOGNE IMPÉRIALE - by Pierre-François-Pascal Guerlain (1853). Helmut Lang - "Seductive and direct. A clean, bright opening. Rosemary and orange tree yield to a caramelized, musky heart of cedarwood, vanilla, sandalwood and patchouli. The calm of the morning after. Complex, familiar, inviting." LANCETTI Homme Cologne - introduced in 2001. "This intense, masculine fragrance combines fresh, warm and spicy notes with herbal and balsamic notes and a splash of citrus." Murdock London - "Inspired by beautiful locations from across the globe, we have carefully sourced natural, raw ingredients to create our collection of British colognes." Our Legacy - eau de cologne for men & women. PENHALIGON'S - established 1870. "Eaux de Colognes have always traditionally been perceived as a more masculine product, but this has changed so much in recent years, with more fragrance houses using the cologne structure to promote the idea of lighter and more summery fragrances to women." PINAUD CLUBMAN - Clubman Lime Sec Eau de Cologne. "A zesty fougere fragrance with a top note of lime. The floral middle note of Clubman Pinaud Lime Sec is blended with musk and exotic woods." SANTA MARIA NOVELLA - since 1612. Florence, Italy. All fragrances. THIERRY MUGLER - "A sensation of light and energizing green and citrus notes. For Thierry Mugler, these notes are reminiscent of a traditional Eau de Cologne, pure, simple, clean and fresh." TRUEFITT & HILL - established 1805. St.James's, London, U.K. All fragrances. Versace Man Eau Fraiche - for men.